Some dogs, with aspirations of celebrity-dom, want to see their name in lights. Other dogs have a different value system. What’s this now, Harpo? A challenge, you say? Game On, sister, says Holly. I accept your challenge, she says. And will add my weekly birthday shot to it. 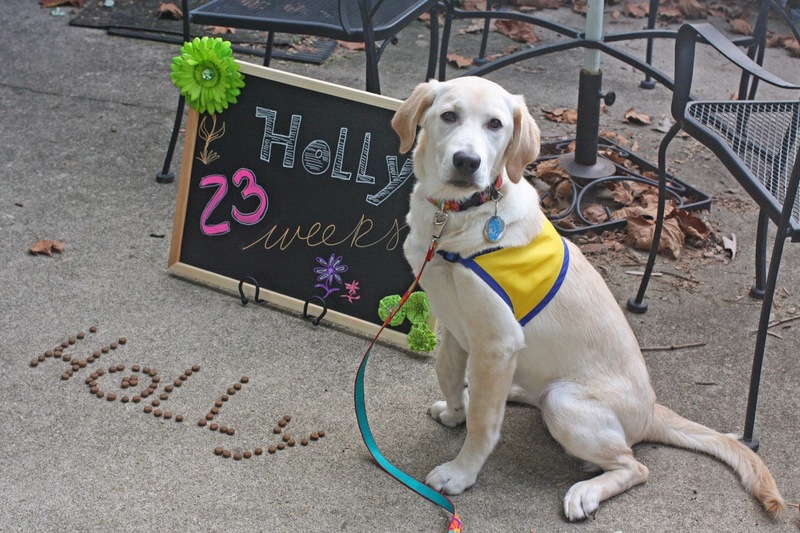 And…, Holly continues. I will stamp my own style to the event by attempting the splits, puppy style, while Food Lady is fussing around with her stoopid camera. I’m betting this morning’s breakfast that she doesn’t even notice. 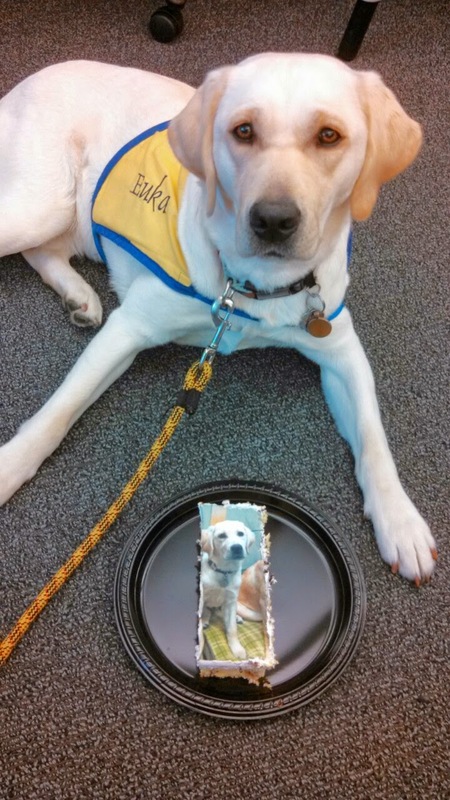 Later, as Holly is crunching her breakfast, I recall the Kibble Name Game we did with Euka before she returned to CCI for her Advanced Training. Gotcha a link below for that photo and more. But here’s even another version of just how good these CCI puppies are. Here’s our Miss Euka at her Matriculation Party we had at P&G Pet Care back in May. Euka poses with a section of her face cake. Not a drop of icing on her nose. Good Leave It, you awesome dog. 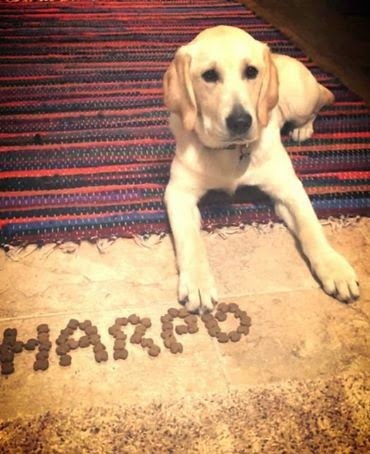 For an earlier collection of Kibble Name Challenges, be sure to click to our link to a slideshow of The Kibble Name Game here at Raising a Super Dog.